Home » Community and Society » Noche de Estrellas 2012 – don’t miss it!! The San Pedro HIV/AIDS Commission has confirmed the date for its 2012 “Noche de Estrellas”, one of the Commission’s biggest yearly fundraiser. The Gala event is scheduled for April 7th at the Rafael Angel Nuñez Auditorium to commence at 9PM. Doors will open at 8PM. The night promises to be one filled with memorable, energetic performances by imitators of modern day superstars, performing popular songs. Providing intermission entertainment will be San Pedro’s Rompe Raja. 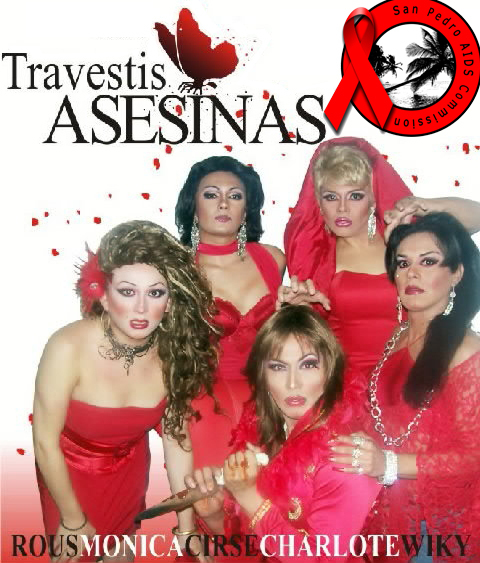 This year, the commission has added a second act to the night, with their spin off of one of Mexico’s very popular TV series “Mujeres Asesinas”, “Travestis Asesinas”. This second act is expected to provide a comedic addition to the many performances and is guaranteed to keep everyone at the edge of their seats. There will be a full bar and food available throughout the night. Tickets are $25 in advance and $30 at the door, and will be on sale by March 23rd with all members of the Commission as well as at JoSe’s Salon, office located on Ambergris St. For further information, contact President, Felix Ayuso at 663-9922.